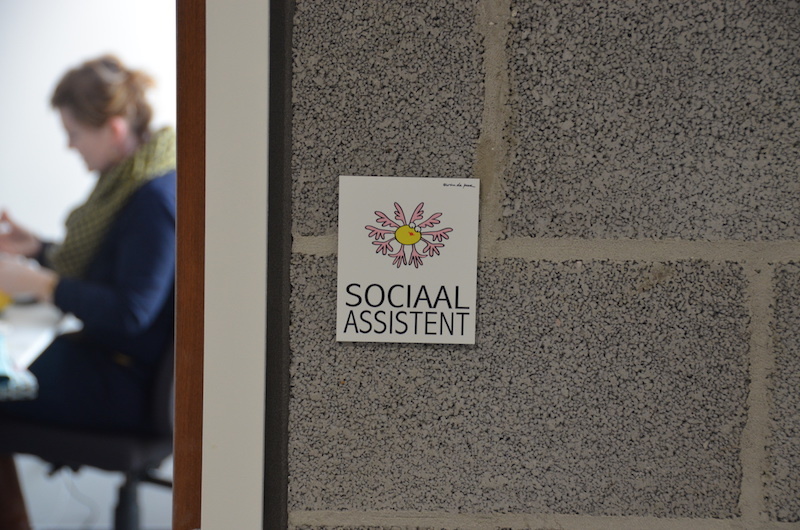 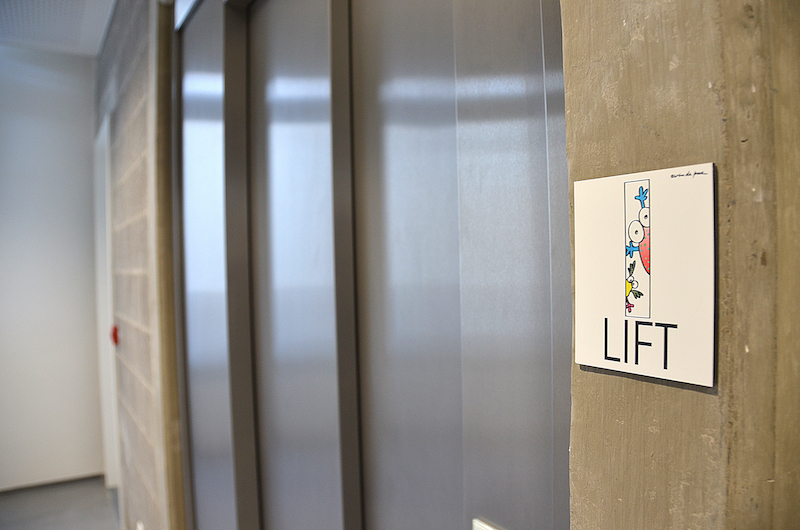 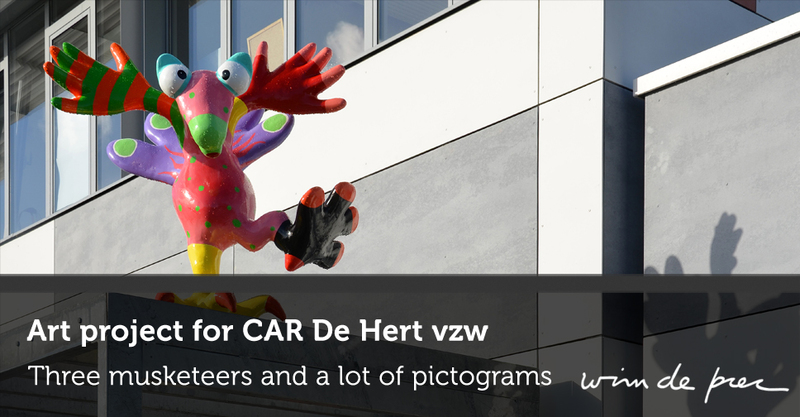 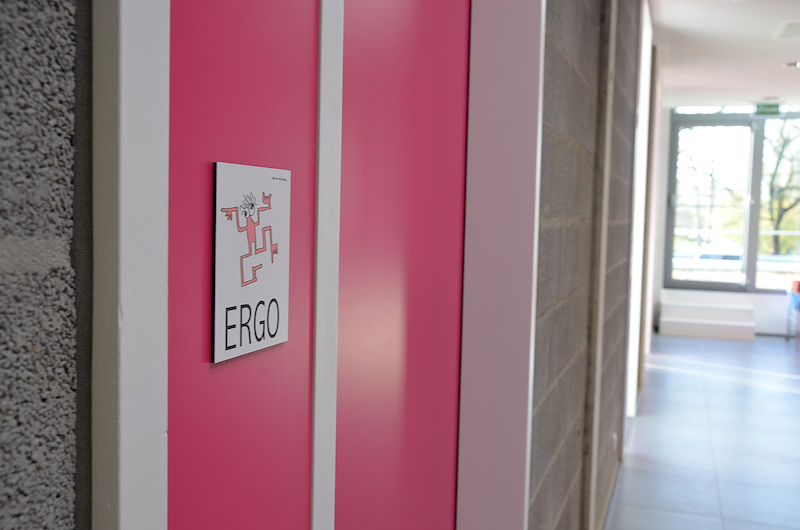 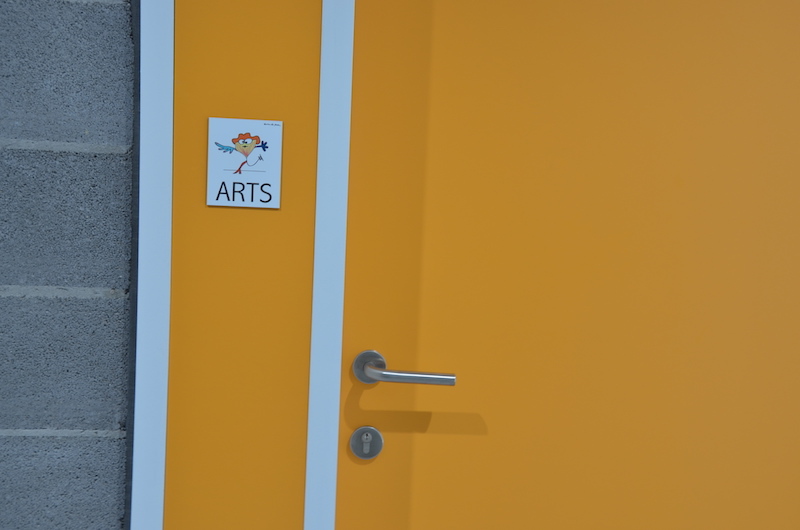 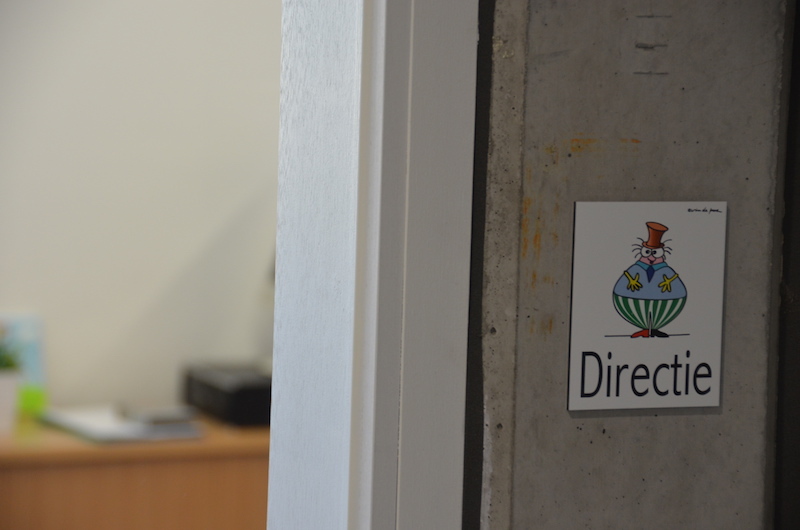 CAR De Hert vzw is a center for outpatient rehabilitation for young children in Aalst. 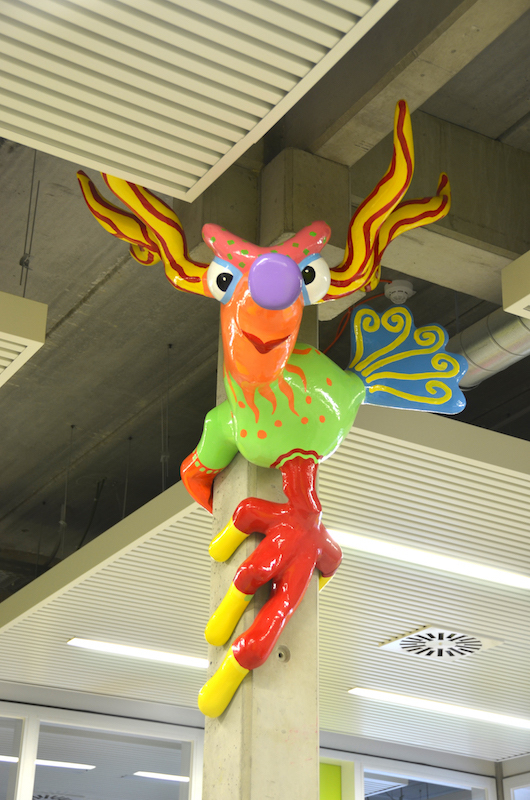 The center commissioned an art project for their new building. 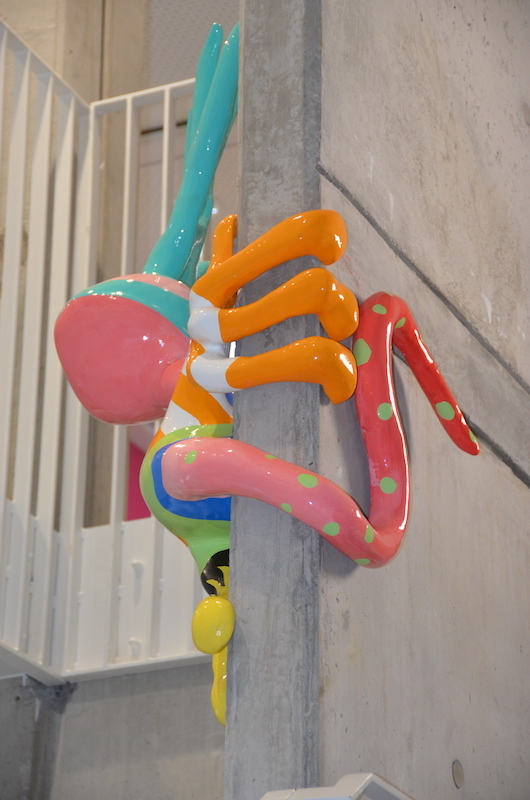 I made three sculptures for the new building. 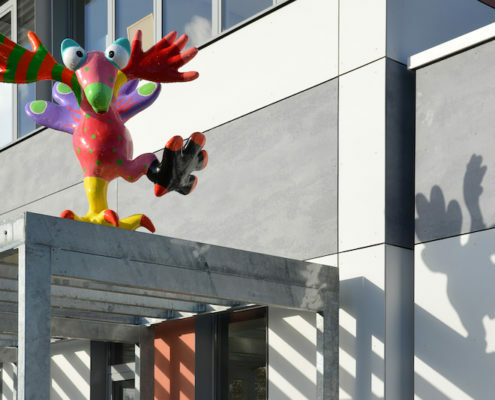 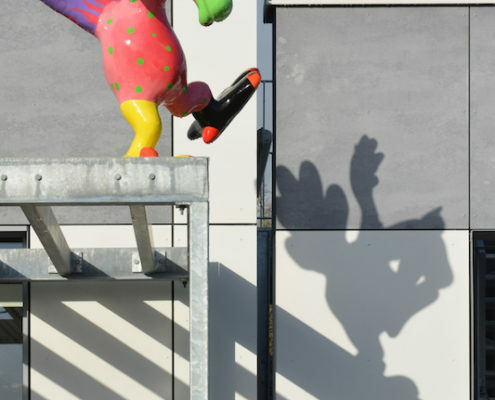 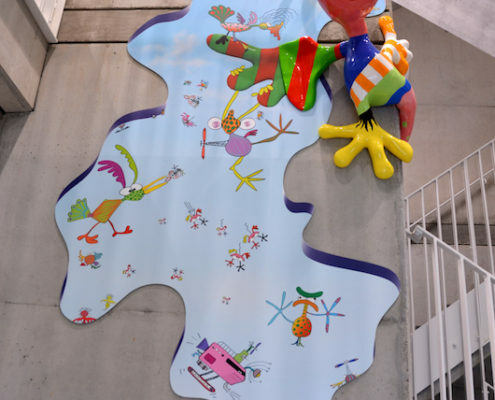 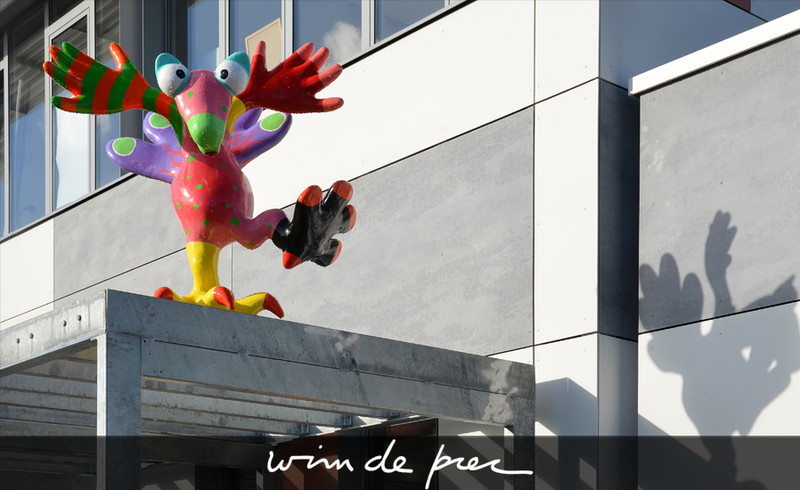 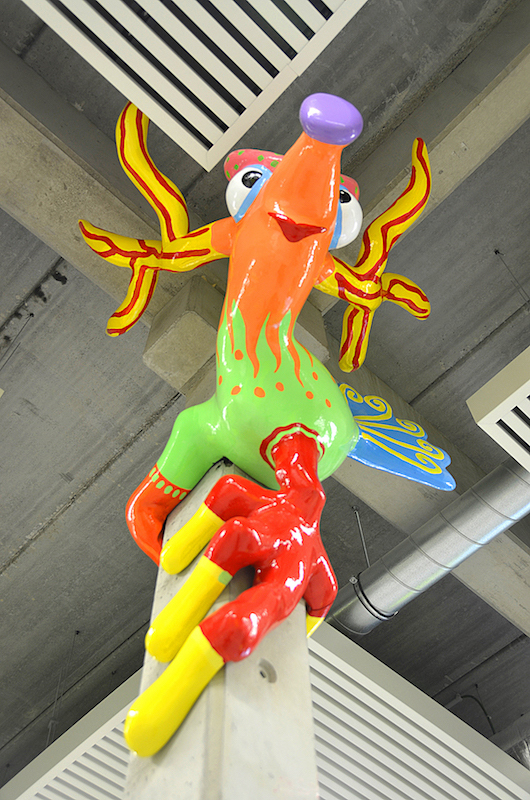 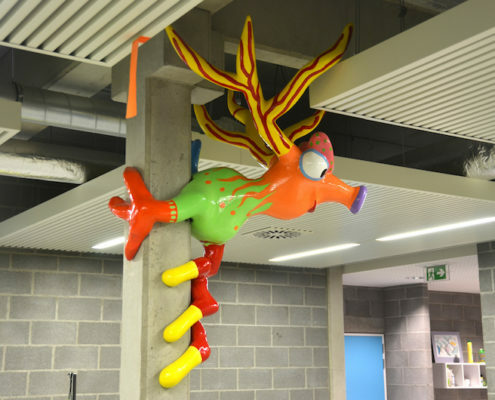 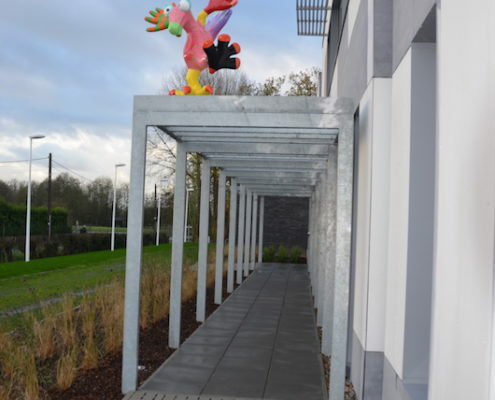 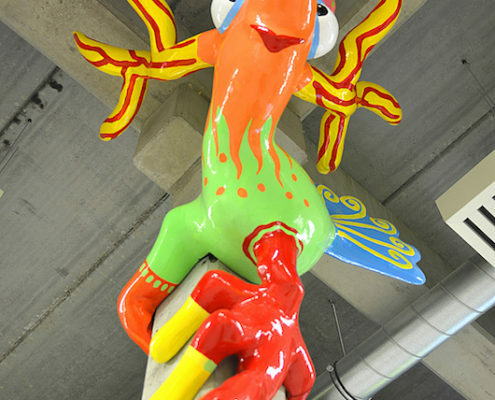 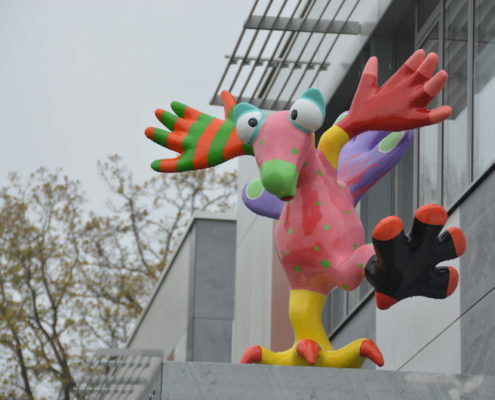 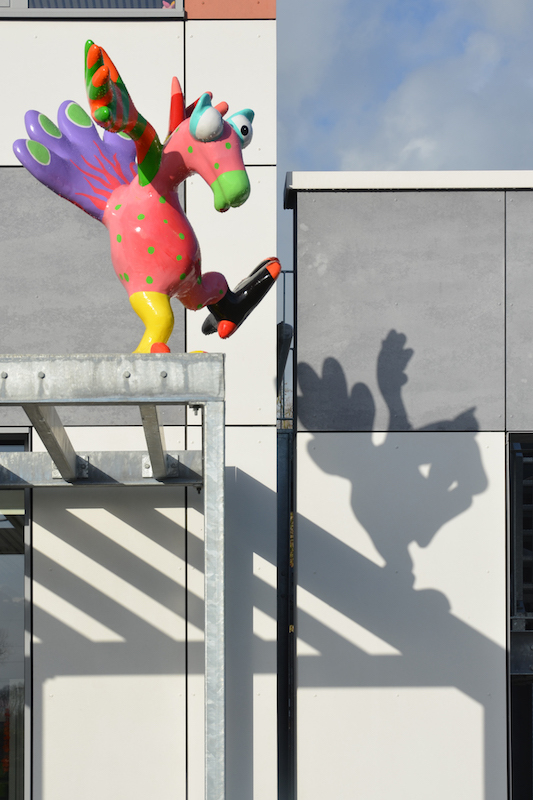 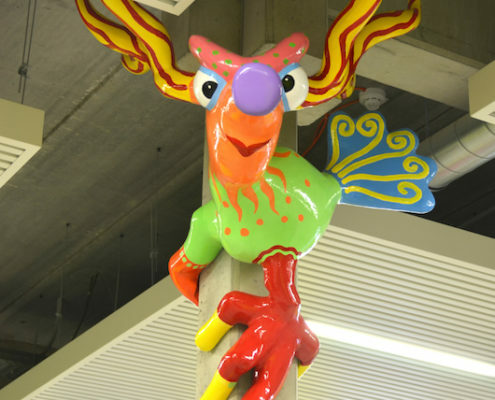 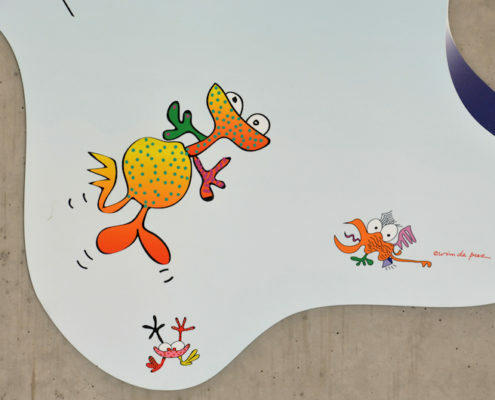 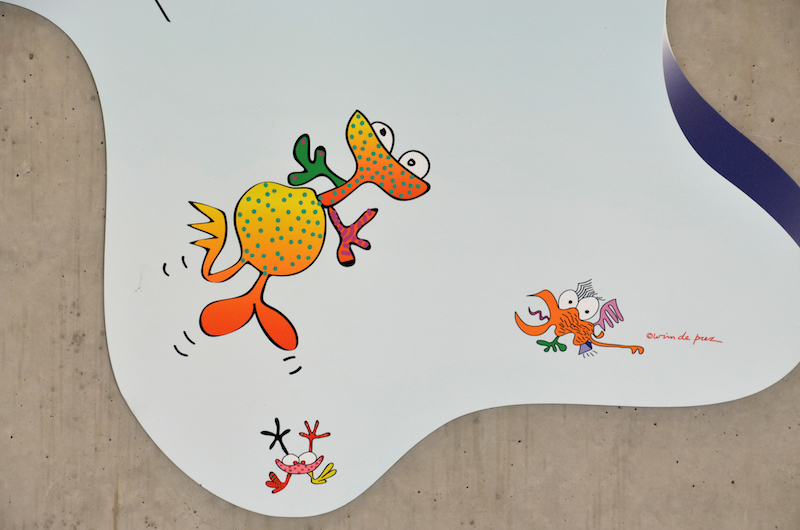 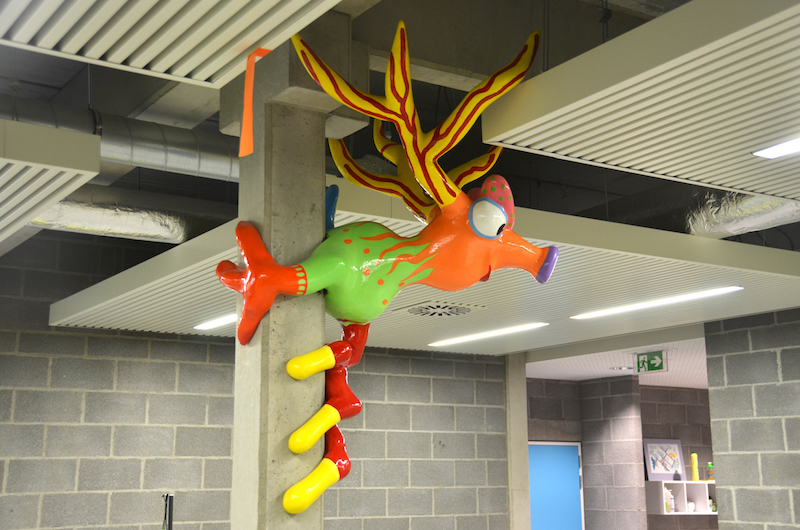 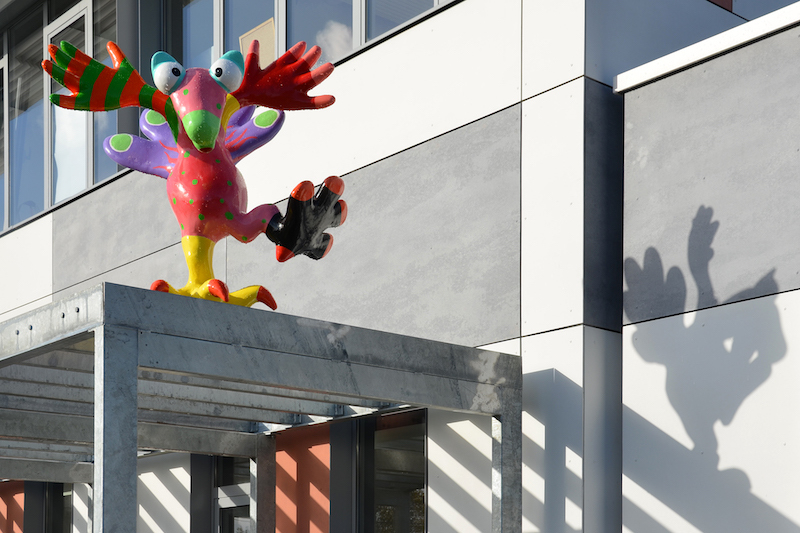 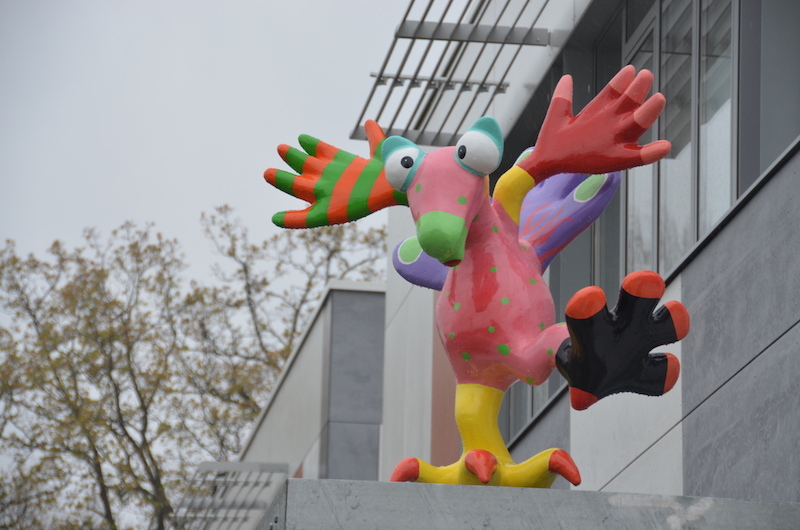 The first sculpture is called ‘Hiloné’ (h=120cm, w=118cm) and is the mascot for the new center. 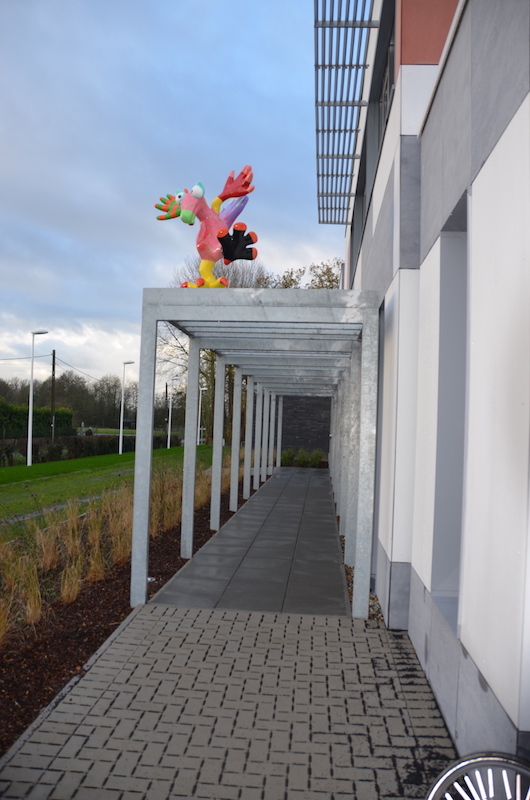 The sculpture is placed front and center at the entrance of the building. 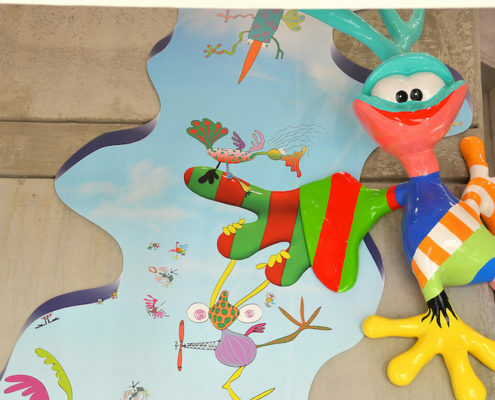 The second sculpture, ‘Effenaf’, is a combination of a 3D-sculpture and 2D-artwork. 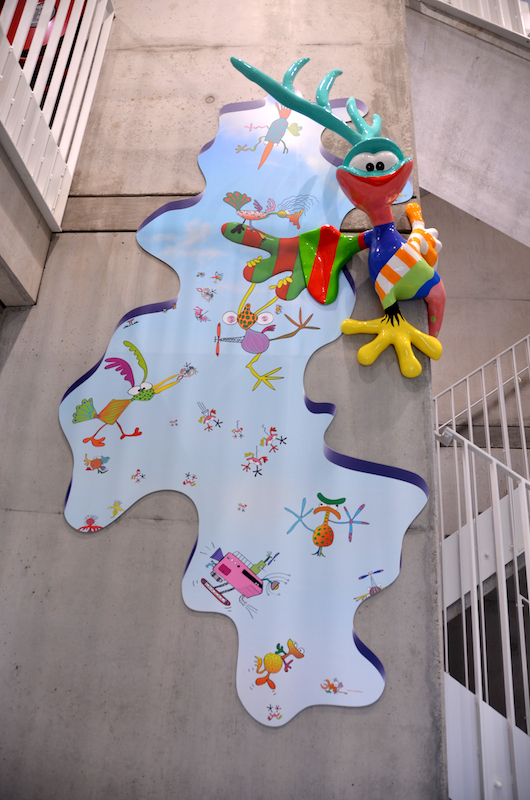 The sculpture comes out of the panel and wraps around the wall. 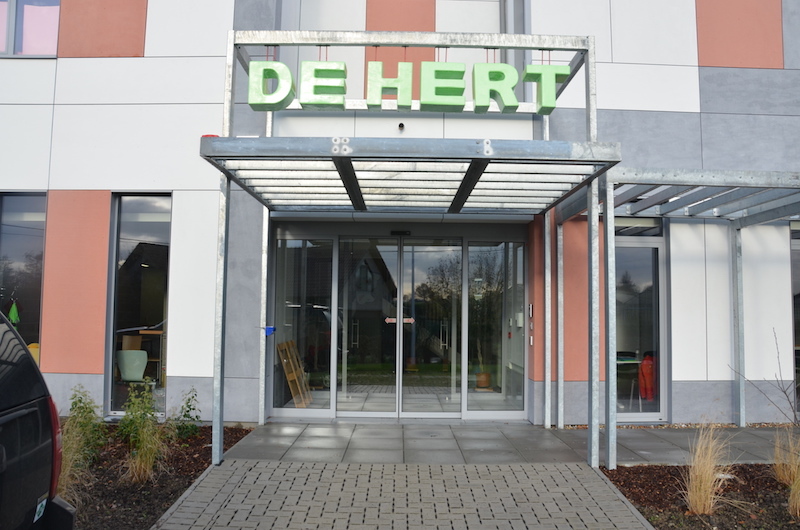 The third sculpture, ‘Straffe Walter’ (h=110cm), is based on the name of the center: ‘De Hert’, which is Dutch for ‘the deer’. 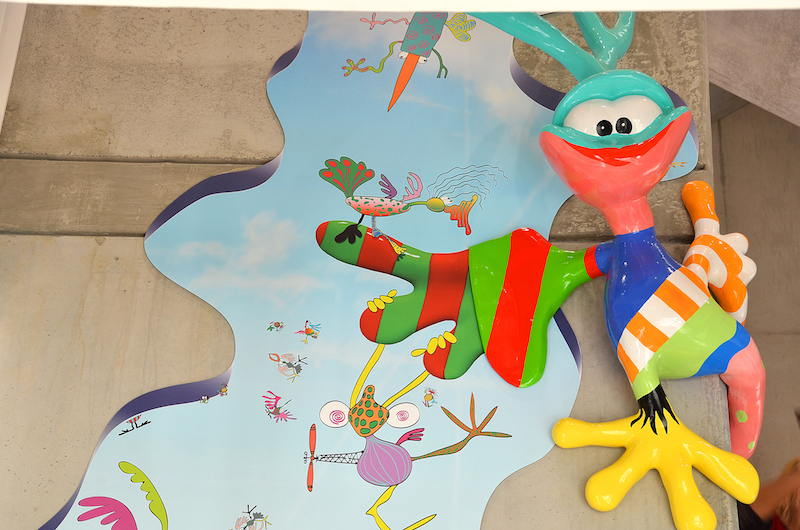 The sculptures envelops a pole in the middle of the room for physiotherapy. 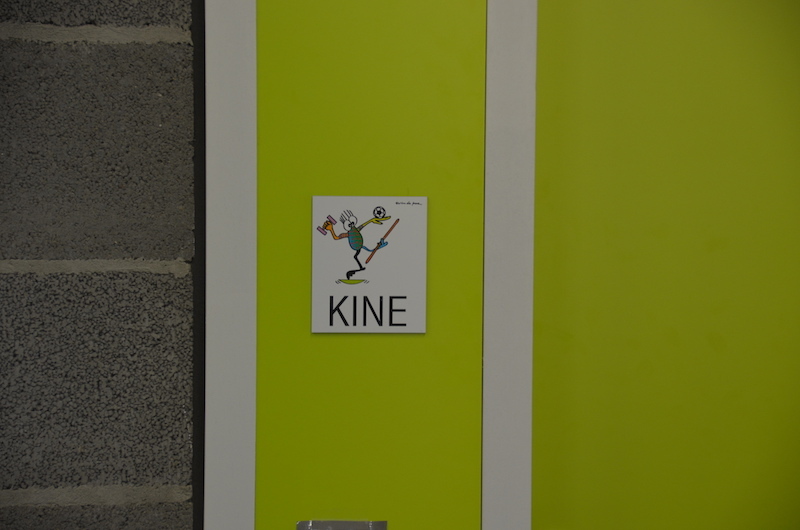 At the entrance, I was asked to place the name of the center. 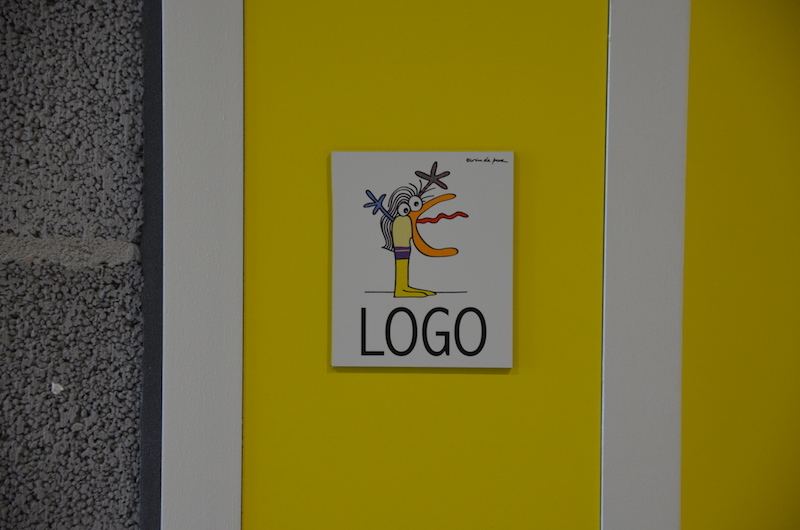 I created green block letters to complement the style and colors of the other sculptures. 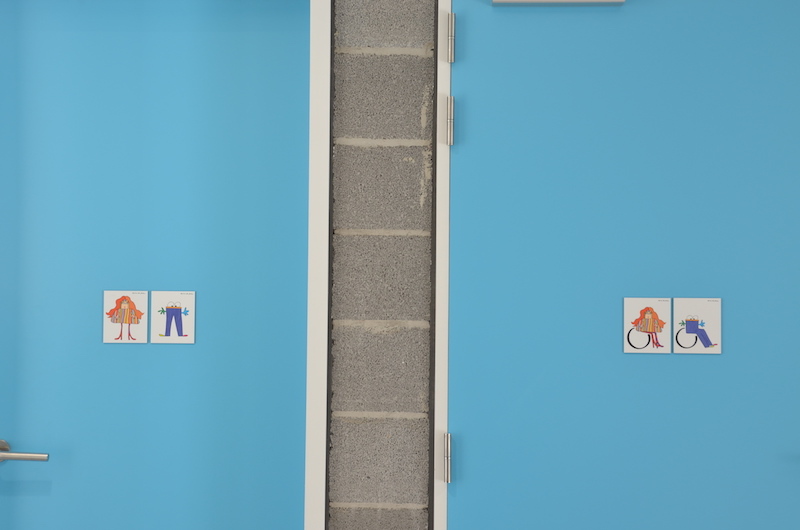 I created 15cm by 15cm pictograms for the entire center.